Best known for appearing in Dance Moms, Joella Joanie Siwa, a.k.a. JoJo Siwa, is an American dancer, singer, actress and YouTube personality. The 14-year-old has over 6 million subscribers on her YouTube channel and is reported to have an estimated net worth of $500,000. Born in Nebraska, she has been active in the entertainment industry since 2013 and has already made numerous appearance in TV shows and films. Here, we are going to share some information about her net worth, earnings, and career. As of 2018, Siwa has an estimated net worth of $500,000. The sum might seem very low as compared to other people in the industry but let's face it; she is just 14, and the figures are massive for someone her age. We assume that the majority of her income comes from her career as an actress, but since she is so young, there are no details about the figures on her paycheque available. However, according to Social Blade, the young dancer makes somewhere between $17.5 thousand to $280.2 thousand monthly. Likewise, the site also estimates that her yearly income is somewhere between $210.1 thousand to $3.4 million. Watch Siwa's latest YouTube video. Apart from this, there are no much details about her earnings and salary available. As we said earlier, she is just 14 and her parents and manager might not feel secure sharing these intimate details with the world. But through her YouTube channel and other socials, it is obvious that she is living her life to the fullest. With branded makeup, clothes, and everything an adult dreams of, she is living a very lavish life. Siwa made her debut in the entertainment industry in 2013 as a contestant on Abby's Ultimate Dance Competition. She appeared on the show for ten episodes, and she was already quite famous. As after the show, she started making guest appearances on numerous shows and began performing too. However, she gained exposure only in 2015 as she appeared on the famous TV show Dance Moms. She appeared in two seasons of the show, and she has become a big name since. Watch Siwa in Dance Moms. In the same year, she also opened her YouTube channel which now has over six million subscribers. The channel has also helped her gain more fame and attention. Likewise, she has also appeared in a few Nickelodeon shows like Nickelodeon's Ultimate Halloween Costume Party as the Creepy Girl in 2016 and in 2017. Likewise, she also appeared as a dancer and herself in Nickelodeon's Not-So-Valentine Special and Nickelodeon's Ultimate Halloween Haunted House alongside Ella Anderson, Cree Cicchino, Mace Coronel and many others. Watch her in Nickelodeon's Not-So-Valentine Special. The same year, she also appeared in Lip Sync Battle Stories and portrayed the role of Aubrey in School of Rock. As in 2018, she is all set to play the role of Victoria in film Blurt. Watch the trailer for Blurt. Moving on to her awards, she has won four awards to date. She won her first award in 2016; an Industry Dance Awards under the category of Dancers Choice Awards Favourite Dancer 17 & Under. 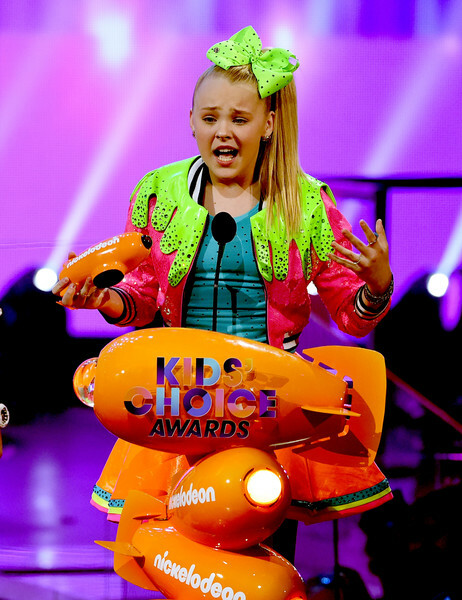 In the same year, she also won a Reality Television Awards for her work in Dance Moms. She has also won two Nickelodeon Kid's Choice Award for Favorite Viral Music Artist and Favorite Musical YouTube Creator in 2017 and 2018. Jamie Lynn Spears and her daughter, Maddie Briann Aldridge, have fun at pool.